A flame stunt-gone wrong has resulted in four tourists being injured at celebrity chef Salt Bae’s Istanbul restaurant. 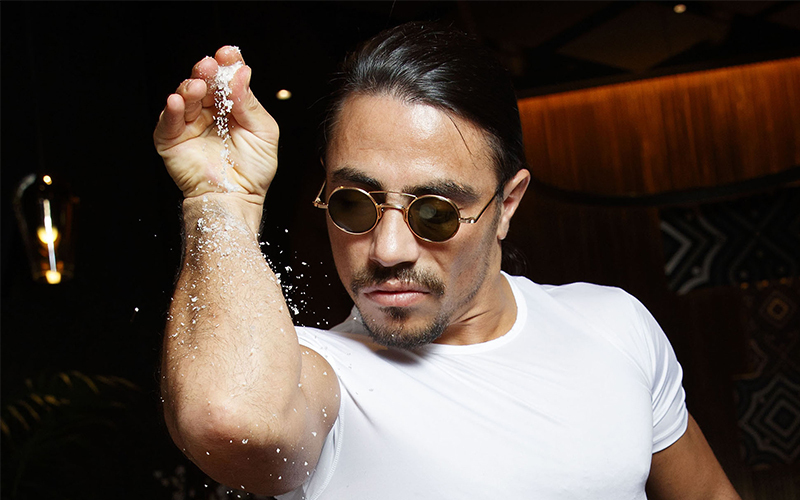 The Nusr-Et Steakhouse, which was opened by Salt Bae – real name Nusret Gökçe – in 2010, shot to fame last year after a video clip of Gökçe’s elaborate salt spreading method went viral on social media. Now, footage is being circulated that shows a bartender pouring a liquid onto fire around the bar – only for the whole bar to be engulfed in flames. The four tourists who were reported to have been injured were two Czech nationals, a Ukrainian and a Greek holidaymaker. All four were taken to hospital after the incident, according to local media. A Turkish media reported that one of those injured, Viktor Hajicek, said that his girlfriend – Krisryna Kresnakova – was badly burnt when her dress caught fire during the incident. Ms Tresnakova is said to have been transferred to the American Hospital for surgery, while the condition of the other three customers is believed to be less serious. Following the opening of Nusr-Et Steakhouse in 2010, Nusret Gökçe now has a chain of restaurants, including one in Dubai and Abu Dhabi.